For a few customers, we’ve recently been manually creating reports containing charts and data, that are automatically emailed to managers regularly (once a month or week). This has proved so successful that we’re now introducing a feature to let users create their own reports by choosing charts and data. 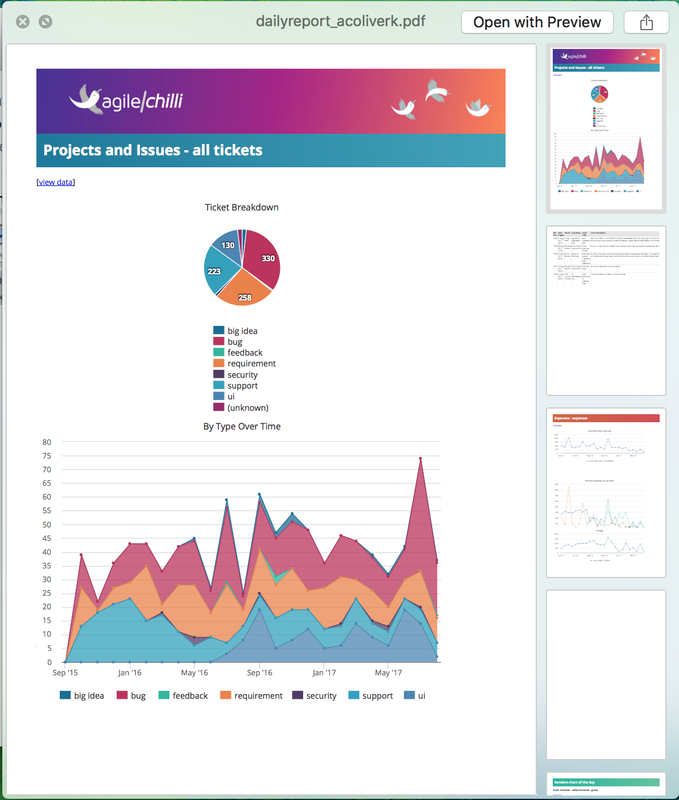 agileBase will then gather together all the charts you’ve chosen to receive monthly and send them to you in a PDF document once a month on the first day of the month, similarly for weeklies and dailies. Sometimes, you may want to see actual data instead of (or as well as) charts. To do that, select an option next to the ‘period’ chooser. There are a couple of options to email the top 5 or top 20 rows of data in the view, but if the view includes date fields, the system will also offer to send new records since the last report. If there are charts in the view, they’ll be included too, if not, just the data will be sent for that view. Many people may not even be aware of what charts exist in the system. Once a month, a random chart will be chosen for each user (from the data that they have access to) and sent to them, whether or not they’re subscribing to any. You never know, that may serendipitously be just what they’re looking for. This will also help to introduce the feature to the many users who may not be reading this blog. Note: users with data filters are currently excluded, though this may be changed in future.